To certain sections of British society, few are more villainous than Rupert Murdoch: media mogul, political power-player and the next character in Carvel’s crosshairs. On Saturday night, when James Graham’s new play Ink opens in London at the Almeida Theatre, the Olivier award winner will transform himself into the man that remade the global media landscape and who caused a lot of friction along the way. 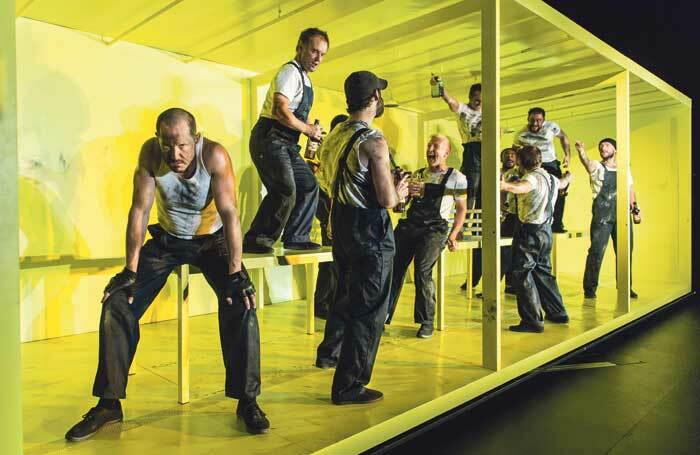 Transformation to morally ambivalent characters is Carvel’s bread and butter and every time he steps on to a stage, he is all but unrecognisable. He was a hulking, coal-smudged ship’s stoker in The Hairy Ape at London’s Old Vic then, months later, a wild-eyed warrior woman in a gore-soaked gown for Bakkhai. In Rope, he was a human sneer in wire spectacles; a world away from the former Olympian hammer-throwing headmistress, a tank-chested child-torturer, that was Matilda the Musical’s Miss Trunchbull. The man that strides into the Almeida Theatre’s back office is tall and well-built with a confident air and a gentle manner. His face is handsome: strong-jawed and bright-eyed with a toothy smile that gives it a slight gawkiness. Unshaven, he can seem raffish with hints of Hugh Grant in his prime. The longer his hair grows, bubbling into thick curls, the more eccentric he looks. The shorter he shaves it, the more a hard-nosed nut-job comes out. Today, close-cropped with a slight beard, Carvel cuts quite a dash – especially for an actor on a mid-rehearsal lunch break. Rather than the usual rehearsal room slacks, Carvel is in a crisp navy suit and a trim blue shirt. It is a clue to the Murdoch he’s playing in Ink – not the pension-age pantomime villain, but rather his younger self, a man so driven he had his own chauffeur before the age of 40. Graham’s play tracks back to the late 1960s, when Murdoch snapped up the Sun. The Australian executive was already circling Fleet Street, having bought the News of the World the previous year, when he added a failing daily broadsheet to his empire and reshaped it into the red-top that still flies off the shelves today. For Carvel, that change is personal. He comes from a long line of journalists and Fleet Street is a world he knows well. 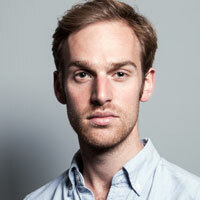 His father, John, worked at the Guardian for 36 years, covering beats including education and social affairs. His grandfather Bob was at the Standard, his great-grandfather, John, the Star. “Newsprint is in my veins, somehow. Even though I was the one who got away.” Ink, he says, was a case of “stars crossing and planets aligning”. What actor wouldn’t want to play Murdoch, a personality who looms large in the public imagination, especially with the connections to journalism Carvel has? Not only is he one of the most significant figures of the last half-century, he’s also one of its most enigmatic. I was a ‘gopher’ at Labyrinthe – a live role-playing club in Chislehurst Caves. Responsibilities included selling weapons and cleaning the toilets. Revelations at the Hampstead Theatre in London [in 2003]. What was the best advice someone gave you when you were starting out? I got lots of good advice, but it’s really hard to hear when you’re anxious to prove yourself. [Israeli director and actor] Gadi Roll. He taught me that it’s not good enough to look and sound the part: you’ve got to mean it. Make a strong offer then listen to direction and try something you hadn’t prepared. A good audition usually feels like a good rehearsal. I used to warm up obsessively. I’ve tried to take the obsession out of it but it’s still really important. Murdoch isn’t the first real figure Carvel has played. In Coalition, also written by Graham and screened on Channel 4 shortly before the 2015 general election, he portrayed then Liberal Democrat leader Nick Clegg. The drama charted the five fateful days at the turn of the decade that led to Clegg’s love-in with prime minister David Cameron in the rose garden at Number 10. That gets close to the crux of Carvel’s approach to acting. 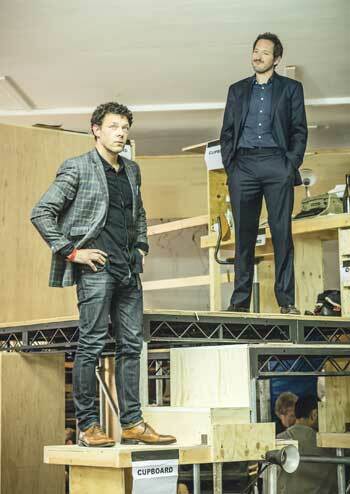 Directors talk of two sides to his process – on the one hand, rigour and research; on the other, play and physicality. “On the one hand, he’s got the instinct of a showman,” says Matthew Warchus, who directed him in Matilda. 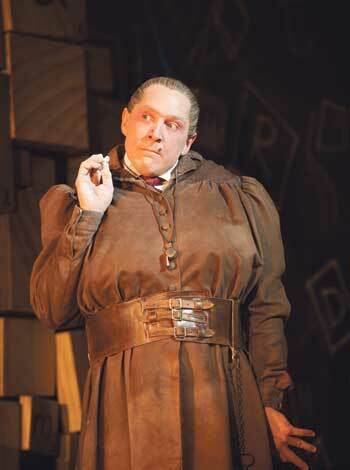 “He’s capable of very deft, technical, virtuosic feats of acting, but he’s also really interested in psychology.” Even with a figure as outsized and absurd as Miss Trunchbull, Carvel dug deep into the character’s damage, considering details such as when she won her Olympic medals and how long it had been since she accidentally killed her brother. “He finds this really intricate, internal wiring,” Warchus says – a product, perhaps, of having a journalist father and a psychologist mother. The result can be rather thrilling: grand grotesques grounded in reality. Carvel is a rare breed of actor. In an acting culture that tends towards self-expression, he leans more towards self-obliteration. 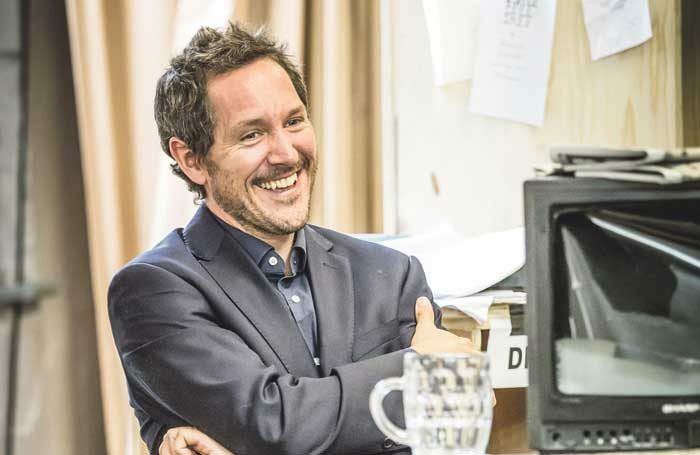 “There is,” he tells me, “a perverse pride in disappearing.” Indeed, one of his keepsakes is a fan letter addressed to Miss Bertie Carvel – the actress who must have played Miss Trunchbull. • Work hard in preparation; relax in performance. • It’s a marathon, not a sprint. Carvel felt his way to acting quite late. Having grown up in north London, attending the fee-paying University College School, he started acting at Sussex University, playing Thomas Becket in Murder in the Cathedral. It came quite naturally – and for good reason. “I’d spent my teenage years live role-playing” – LARPing is the technical term, ‘monstering’ is another – “and that’s essentially acting with no audience.” He has in the past joked that he earned his acting chops travelling to and from Chislehurst dressed as an armoured dwarf. In some ways, I suspect, he never stopped live role-playing. Acting might be the adult equivalent. Outwardly, Doctor Foster is a domestic drama, but it taps into something deeper. Carvel reaches for a Virginia Woolf quotation: “Let us not take it for granted that life exists more fully in what is commonly thought big than what is commonly thought small,” he rattles, word-perfect. “In other words, the tiniest atom of experience can contain worlds.” That philosophy might link his forensic attention with his expansive imagination. Transformation, he says, is still rooted in introspection. “In all these parts, I get to reach quite far from my central self,” he explains. “They’re all in corners of my unconscious, my subconscious, the envelope of my experiences and my sense of self. I get to explore what the world feels like in all these different ways because, in all of these characters, there’s some part of me in there.” It is here also, you suspect, that he discovers the humanity in even the most morally ambivalent of characters.